Mens Guernsey Sweater. A classic example of mens pure wool knitwear. 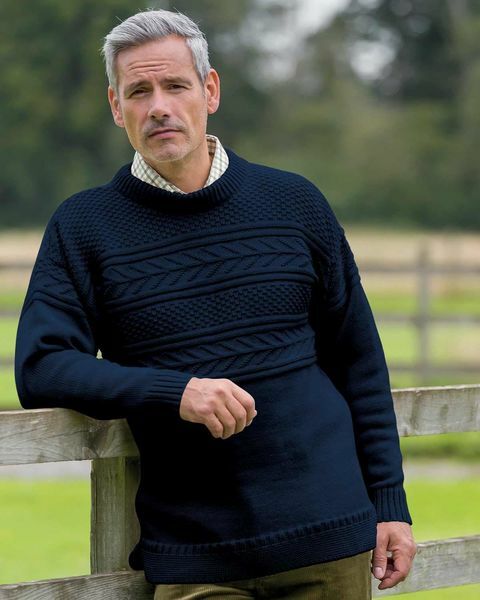 Traditional style Guernsey sweater knitted from pure wool. Originally worn as work wear, by fisherman, each with their own unique design. Generously sized with side vents to aid movement. A classic example of mens pure wool knitwear. 100% wool.